Analytics has a huge potential in outlining the weak areas of our blog, and in this case its, the exit pages that we have to deal with. No doubt that our blogs/websites would have exit pages, and thats pretty normal, but our further efforts to reduce the bounce rate through those exit pages could help us in retaining those readers. And that could only be done once we would know the exact sour points. How To See Top My Exit Pages? So by logging into your Google Analytics dashboard, navigate through Standard Reporting >> Content >> Site Content >> Exit Pages. It would show up a bunch of statistics and pages (posts/articles) that have the highest number of people exiting your blog. These are the areas that you need to work hard to make those readers jump on to other reading material on your blog. 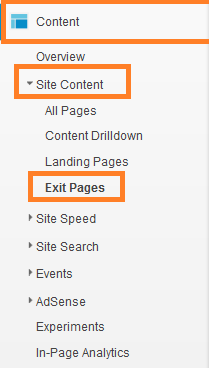 How To Study Exit Pages % and Reduce Bounce Rate? Once you would be on the exit pages section, you would notice a bunch of articles on your blog that would be the culprits. Consider the picture below as an example. 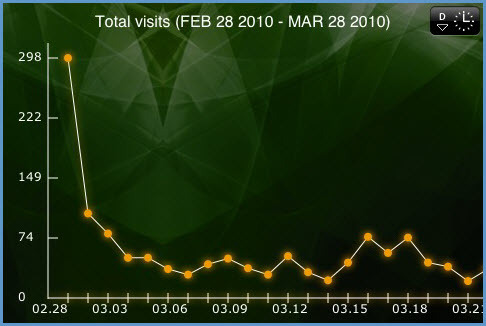 Notice the top post that accounts for almost 75% of total exits is something that we have to worry about as a webmaster. Though we know, that readers are bound to leave the blog and moving on at some point though, but we can try our best to convert that page into a way that would provide more reading opportunities to the reader and thus distracting him/her to read even more. There are few strategies that you can begin working on to minimize the overall bounce rate of your blog due to these top exit pages. Not many people tend to realize the importance of equally distributing linked articles within your top exit pages posts. For the best approach, that kind of works for us is by introducing few related articles just after the introductory paragraph. That is a point where reader tends to get a little break and is in the transition period. Next, you could link related articles to every other paragraph (if you believe the related posts is actually 'related' too). Then few of the posts could be interlink at the end just below sign up off words. That really works! Working on these few points would surely improve the % of your top exit pages and would make sure that your readers tend to read even more after those specific pages/posts.